If you would like to try the new Oticon Opn S in the Uk or the USA please enter your details below and we will be in touch. Less stress. Remember more. Better hearing. Oticon Opn™ S expands upon Oticon's groundbreaking technology that is fast enough to support the brain. With precision and accuracy, it analyzes the acoustic environment and differentiates between the individual sounds. The result is a significant improvement in the ability to understand speech in complex environments while, at the same time, preserving mental energy – ultimately empowering users to Open Up to the World. Users are provided with more accurate information making it easier to locate and separate sound sources so they can focus on what they find important. This happens so quickly it facilitates the listener’s ability to change focus when desired. 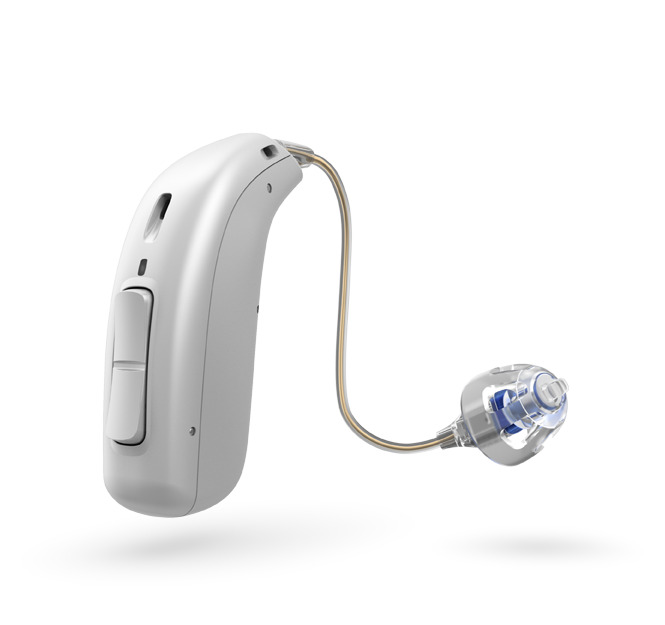 A new breakthrough technology in Oticon Opn S stops feedback before it even occurs. Now, you can give someone you love a hug, without worrying about screeching from your hearing aids. 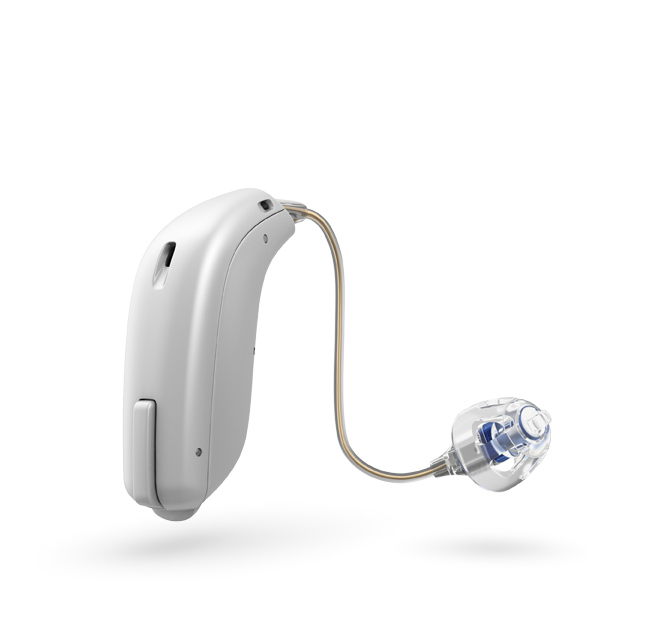 The technology in Oticon Opn S gives you access to the relevant sounds around you, including speech, and puts you in charge of which sounds you want to focus on. The result of this life-changing technology is that you will understand speech even better, with less effort. Now, you can join in and keep up with conversations – even in challenging listening environments, like a family dinner or visiting a restaurant. Opn S miniRITE R offers the simplicity of rechargeable batteries, the groundbreaking open sound experience, and outstanding connectivity to other devices. 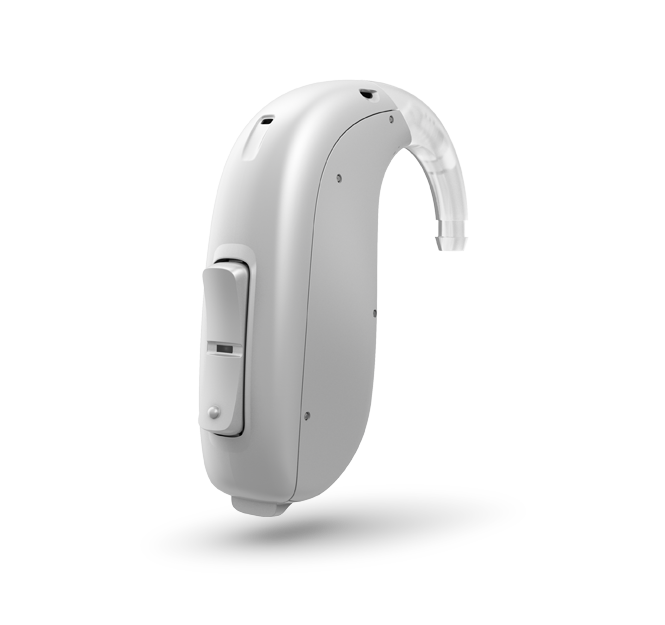 This discreet hearing aid comes with a sleek and stylish charger and long-lasting rechargeable batteries.